Want to help us spread the word about our new releases? Review copies are available for select published and to-be-published works. Use the password sent to you in the SGR-Pub Reviewer email to gain access to the files below. You will receive a password to use on the current eARC available and will receive emails when new eARCs are available and when books are published. While we understand life gets in the way sometimes, we want to make sure that we’re sending books to readers. If you receive two eARCs and do not post a review within 30 days of release, we reserve the right to remove you from the list. 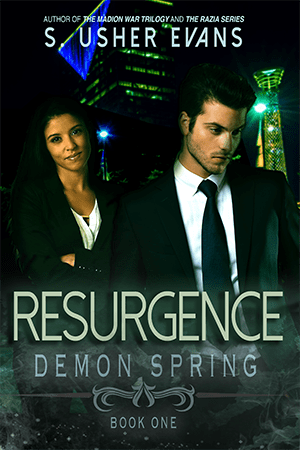 Resurgence is the first in a new Urban Fantasy trilogy from S. Usher Evans, author of the Madion War Trilogy, Razia, and Lexie Carrigan Chronicles. It will be released by Sun’s Golden Ray Publishing in February 2018.
Review copies available December 20th.